We went to Genoa City today for a traditional Door County Fish Boil since we had never enjoyed that experience before. 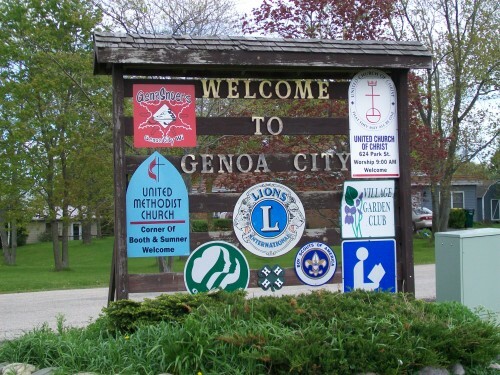 Genoa City is only two miles from the Illinois border. 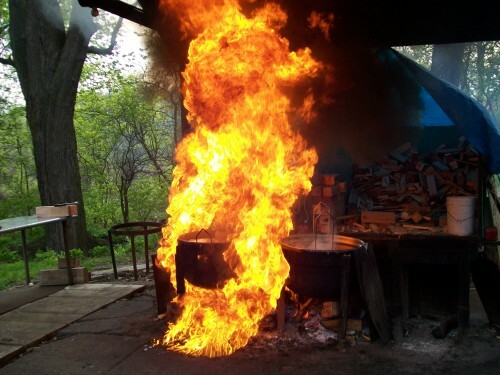 A fish boil is unique to Wisconsin. It’s prepared in a large cast iron kettle outside. It consists of boiled potatoes and onions, then the fish is added the last 10 minutes of cooking. A little kerosene is added to the fire for the big “flame over” to signify that the food is ready. Accompanying the dinner were rolls and traditional Door County Cherry Pie. 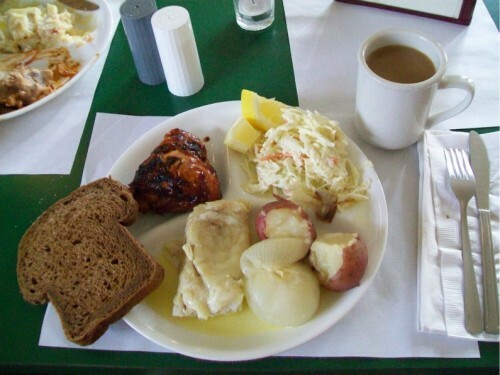 We were unable to get to a fish boil while we were there in 2011, so I did a little research and found a great restaurant near the Illinois border (2 miles!). The restaurant is called Fitzgerald’s Genoa Junction, and serves dinner only, and fish boils are all they do. We arrived in town about 4:00. 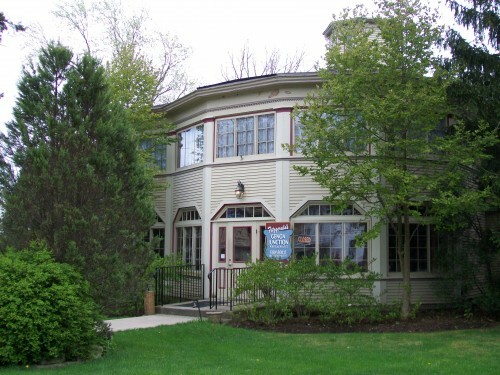 The restaurant in in a historic octagon-shaped building. 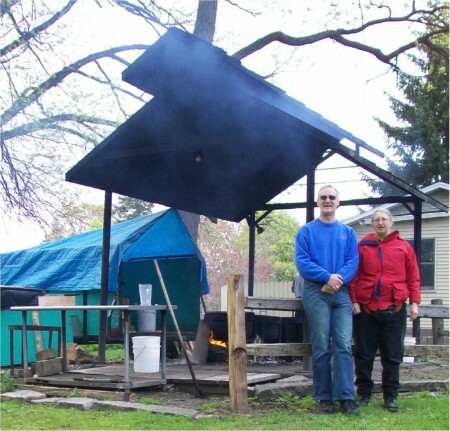 We walked around out back and surveyed their cooking set up. Took our picture too! We were the only ones watching the cooking process, apparently the locals have seen it all before! Not us though, we waited for the big moment. Here it is! 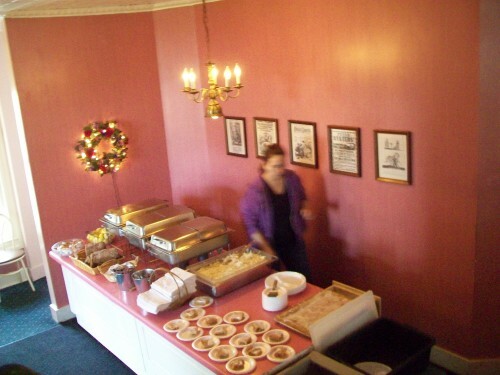 Then we enjoyed a delicious dinner, it was all-you-can-eat.